I believe everyone deserves a website to share their own personal voice, passions, hobbies, or just keep a personal record. That site might become the start of your entrepreneurial journey. But creating that website can be daunting and stressful. Trust me we have all been confused when getting a website set up. I can help you understand everything you need to know about getting your website up and running. From hosting to where to share your posts and everything in between. I am here to help you not only get things put together but teach you the important stuff you need to know to manage it. There are so many options to create a website out there and I’ve used several of them. 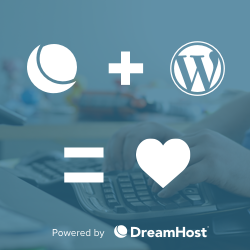 I’m willing to help you get your site up and running using whatever you would prefer, but in my opinion, the best option is WordPress. Just under 5 years ago I began really working on my own website. It was a place for me to archive my work and share my thoughts and the things I learn. I tried several ways to do this and I always came back to WordPress. Since then I’ve helped put together several sites using WordPress. It’s core belief to democratize publication is something I strongly believe in. I also love that it has the capability to bring whatever vision a person has to reality in their own personalized way. why Consultant not a developer? Although I know how to code to tweak the things that are important to project. I’ve only fully published small webpages that I’ve made from start to finish a few times. It would be a disservice to say I could do something only a developer can do. My journey to becoming a full-stack developer is well on its way and so I’ll be able to do more for you soon. For now I’m sticking to the tools I believe in.